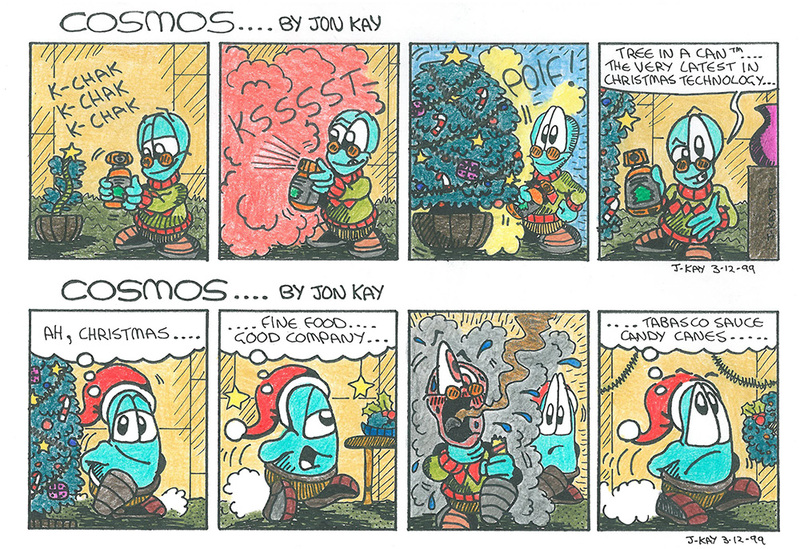 ‘Snoopy’s Christmas’ or ‘All I want for Christmas is you’ (please), and enjoy some more Cosmos festivity! candy canes: So Hot Right Now!’ Blehh. peace badge in the ‘off’ position, and she’s just stuck with the bandana and glasses. 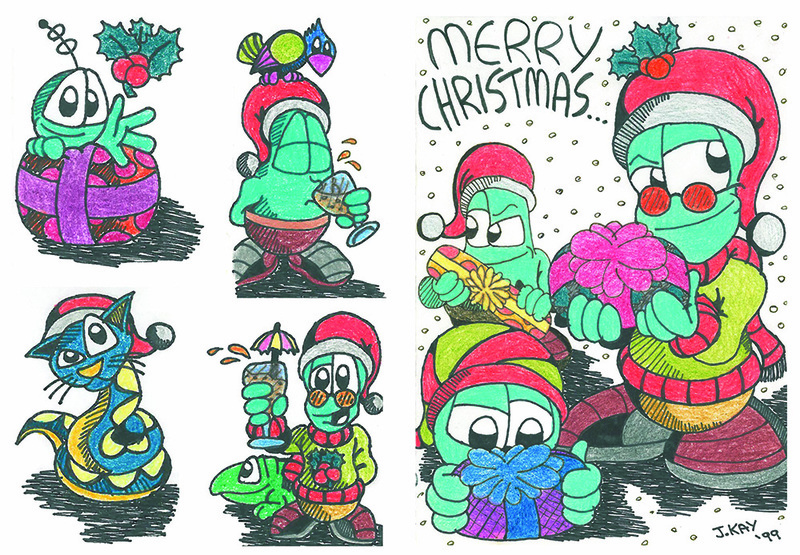 Here’s the colour version of the one of that pair of Christmas cards I actually have, along with some extra bonus festive illustrations I did in conjunction with the cards. 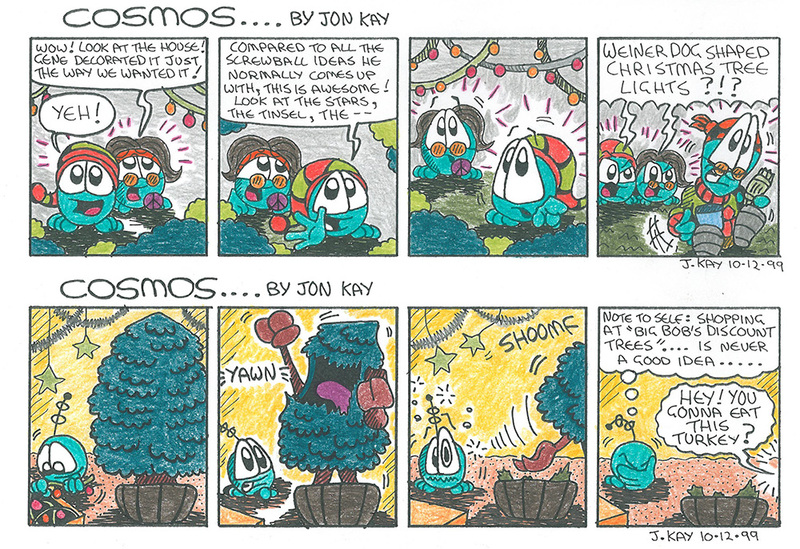 COSMOS: OLD SCHOOL WILL RETURN ON THE 31st OF OCTOBER!